Baroness Anne-Marguerite-Henriette Hyde de Neuville, Martha Church, Cook in “Ordinary Costume,” ca. 1807-1814, Watercolor, graphite, and brown ink on paper. 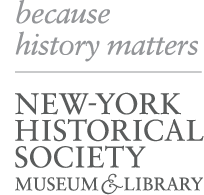 New-York Historical Society, 1953.276. Born to slavery on James Madison’s Virginia plantation, she served Dolley for some forty years, and may have aided her enslaved daughter’s attempted escape aboard the abolitionist-sponsored Pearl.